Dogs Need a Cozy Coat Too! Your dog may be small, or have thin hair, so it's important to make sure they stay warm too. Knit them a dog sweater to match your own, and be a matching set when you go on a walk. 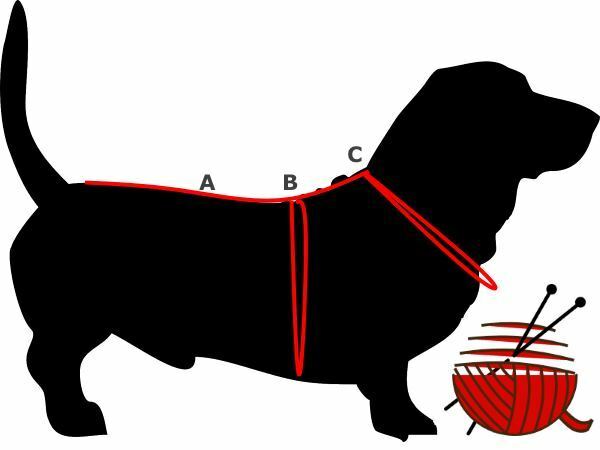 The most important part of making pet clothes is the measuring of the dog, in some crucial areas. 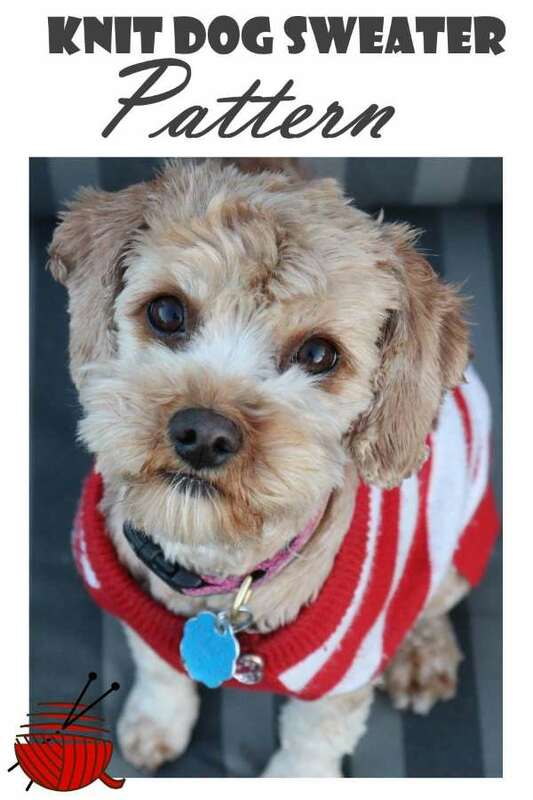 It's also good to design the sweater with some way of adjusting it, like buttons or Velcro closing so you can give your pet enough room to breath. I also recommend making dog sweaters out of yarn that's washable, and tightly knitted enough not to be a hazard or getting caught on bushes or sticks. Measure your dog in the places indicated (if you can get her to stay still enough - bribery may be indicated). The top line of the dog should be as long as you think the finished sweater needs to be. As you might expect, boy dogs and girl dogs need slightly different coverage on the bottom edge. Adjust the corners to fit the gender of the dog, and decide how to close the bottom edge around the dog, or if it will be more like a cape. If you prefer, you can design the sweater like a tube. This will work best for dogs with short coats - you know your dog best. If she doesn't like her fur being ruffled or mussed, make the sweater with some type of closing. 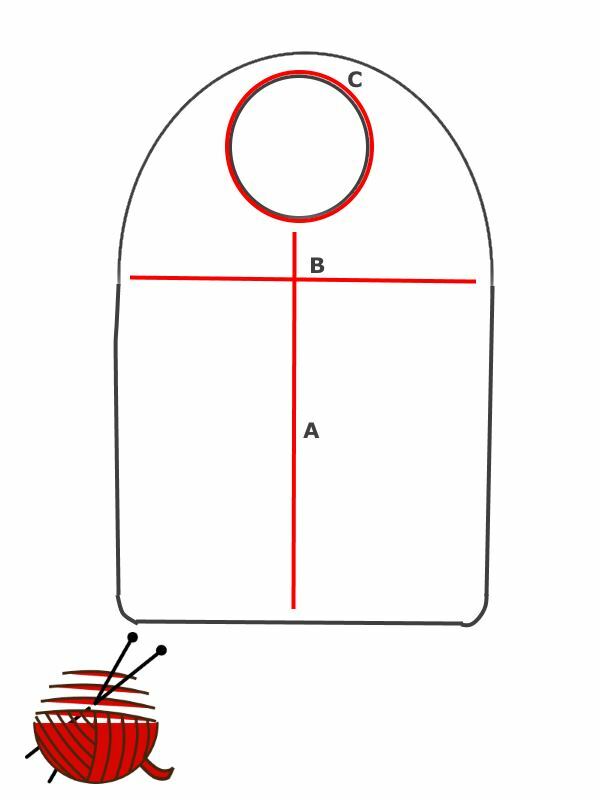 Transfer the measurements to a piece of paper where you'll make the decisions for the construction and decide on how the sweater will close (a button at the front of the neck, for instance) or Velcro to make it easy to put on and take off. Another option is to make the sweater close along the back, with a series of buttons or Velcro closing, or snaps. This type of configuration makes it a lot easier to put the sweater on, or take it off.